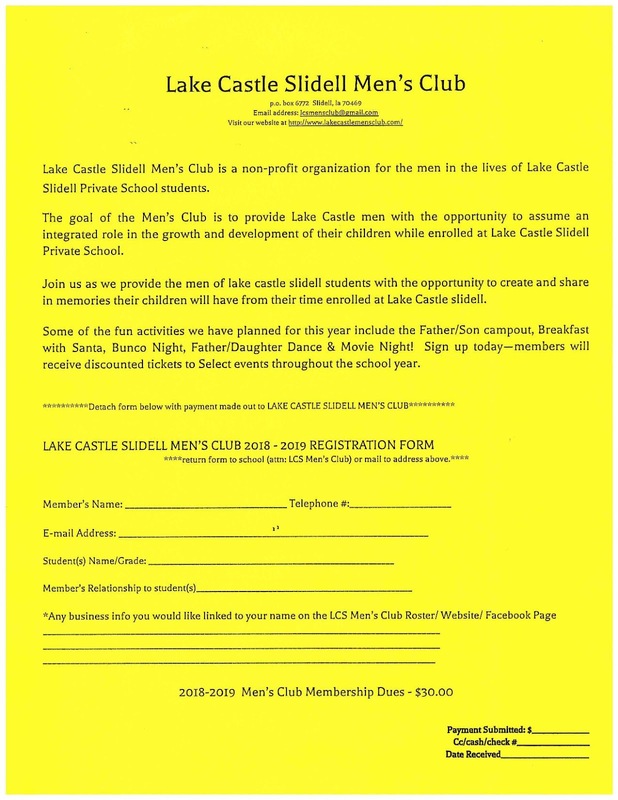 The Lake Castle Slidell Men's Club is a service organization that benefits the Lake Castle Slidell Private School community and provides additional opportunities for male parental involvement in school-related activities with their children and with other fathers. 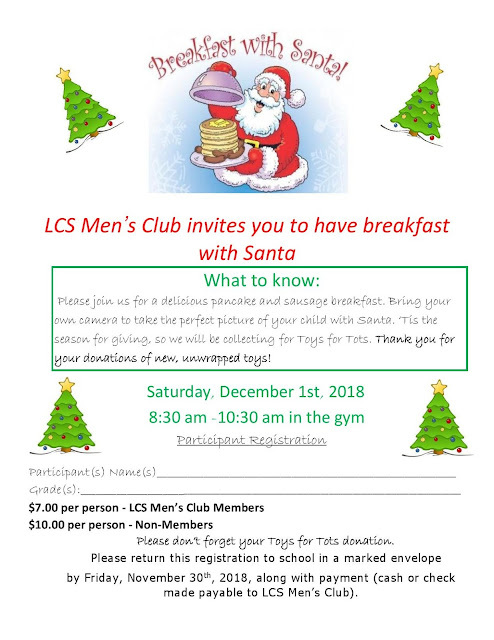 Members of the Men's Club with specific talents can be very helpful to the school in advising and consulting capacities. Your help is needed! drive for Mrs. Monnin from 2pm-7pm on Wednesday, May 1st at the school gym.
. **Donation forms will be going home tomorrow! We will be sponsoring an ice-cream party for the class with the highest % of participation. so much for the Lake Castle family. Everyone welcome! the Blood Center knows how to supply and staff the event. 2. Family Movie Night- May 10th (Friday) FREE FOOD & Screening of the original Toy Story! Details to follow on time and food served! *By-Laws attached with details regarding the requirements of each position. position requires attendance at all Men's Club events and meetings but the experience is overwhelmingly rewarding. If you have questions regarding these positions please feel free to e-mail or call me or anyone on our board. Professional Photography available for purchase by Visions Photography during the dance. 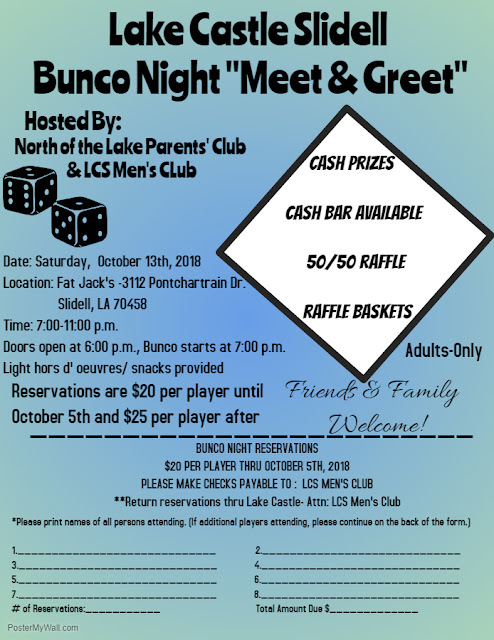 Lake Castle Slidell Bunco Night "Meet & Greet"
$20 per player thru October 5th, $25 per player after. Sign up by filling in and submitting this form and sending in via JetMail care of Lake Castle Mens Club or join us at our next meeting.